In a retail world that is becoming increasingly homogeneous, more and more customers are looking for a buzz. Sometimes, an unexpected collaboration between retailers provides the perfect answer. Meet MARK in Antwerp, where three totally different stores are smoothly integrated under one roof. On the shop window is printed in capitals: READ, CYCLE and CHERISH. 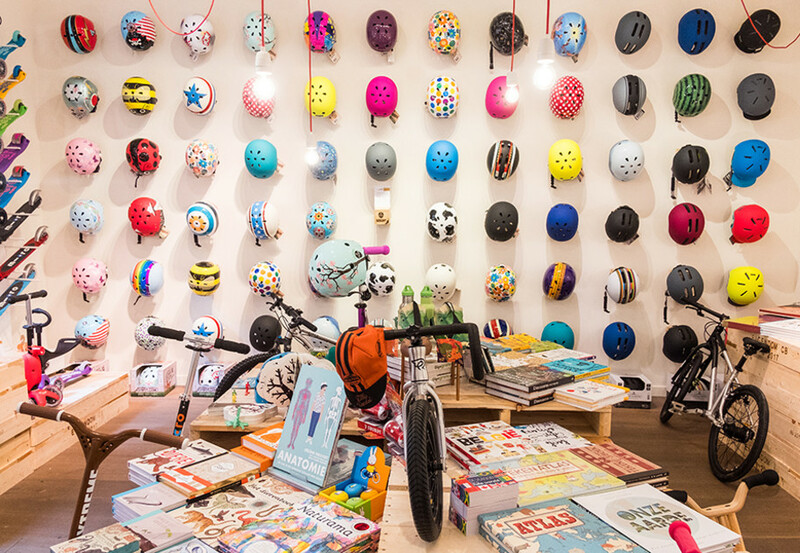 Once inside, you discover a shop where outdoor, kids, reading and interior blend together, with the bike as status symbol. MARK focuses on consumers with an eye for quality, sustainability, service and beauty. Here's how it started. The owners of 't Stad Leest bookshop and the De Geus cycle shop knew each other personally, had an overlapping clientèle, and wanted to work together. The result was a temporary pop-up store that lasted for only six weeks. This concept became a commercial success and they had a taste for more. They now rent a 380 m2 building, where they forge a natural link between top products. 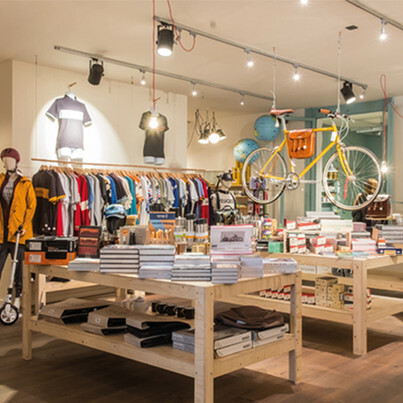 Wunderkammer, an independent gift shop that 't Stad Leest had started earlier, has now been completely absorbed into MARK since the concept store was established. What is very clear is that a lot of thought went into styling. They juxtapose totally different products that fit a theme. A few times a year, the store is completely revised, as happened recently during the spring restyling. MARK proves that there are also plenty of opportunities for partnerships in the physical domain. There are many benefits, as in new customers, surprising products, and more sales. And one thing is very clear: for the consumer who is always looking for something new to discover, the element of surprise is essential. MARK proves that there are also plenty of opportunities for partnerships in the physical domain. There are many benefits, as in new customers, surprising products, and more sales.